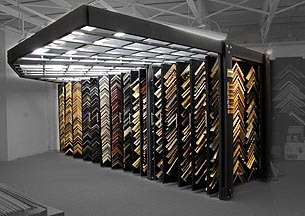 Custom Framing Miami | Frame Samples | Borders, Inc.
Frames - Over 6,000 frame samples. Hand carved gold leaf and silver leaf, maple, walnut, cherry, mahogany, oak, ash, inlayed woods from Italy, aluminum, steel, and much more. Stretching – Oil paintings, acrylic paintings, photos printed on canvas. All sizes and odd sizes welcomed. We currently offer various options for matting. Depending on what art type you are framing, we will recommend specific mat styles the designing unfolds. If you are unsure on what to select feel free to call or email us. Framing full bleed means framing to the edge of your print. No mat for this selection. You can add a spacer to the frame to keep the print from touching the glazing. Framing with a single mat to the edge will add a 4-ply or 8-ply mat with an opening to either the edge of your print or just outside the edge of your print. This adds a mat border to your image and would increase the size of the frame. The double mat selection would include two mats layered on the edge of the print showing a 1/4” of the mat below. Float mat with a spacer is a method of framing that keeps very portion of the art fully visible in the frame, edges and all. This gives the illusion the piece is floating within the frame either hinged to a mat or on a foam core lift. A spacer is added to the frame to keep the artwork from touching the glazing. Both methods require additional time and materials so floating does cost more but is highly recommended for any piece with deckled edges. Island floating is another method that coincides with the floating effect except with a twist. The artwork would still have that floating look but a 4-ply mat or 8-ply mat would be fitted around an 1/8”or more from the artwork, if you desire. To see all the options for matting please visit our showroom. A common problem art collectors often encounter is finding the perfect frame that will complement the aesthetics of the delicate works in their collection. At our custom framing shop, we feature a large selection of materials for all your custom framing needs—with over 6,000 corner samples of frames to choose from. 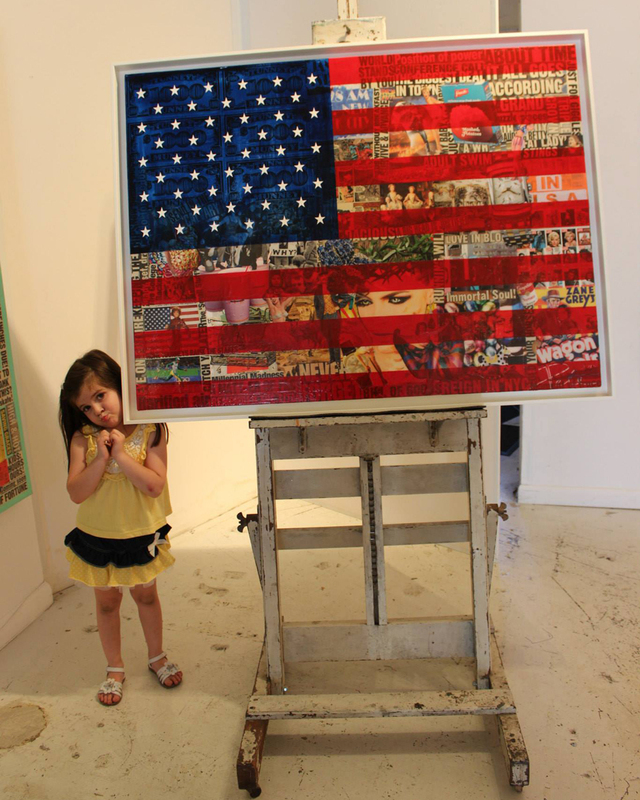 We use only the highest quality materials, including museum-grade acid-free matting and UV-protected glass and acrylic. When a frame is as valued as the work within it, private collectors and museum curators turn to Borders, Inc. We try to frame the artwork for the artwork, not for the room that houses it. 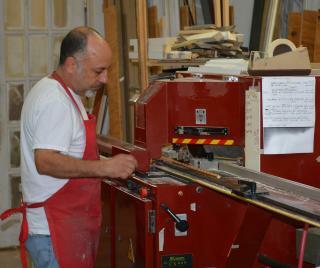 For more information about our framing services and rates, feel free to contact us by email. Delivery and installation services are also available.